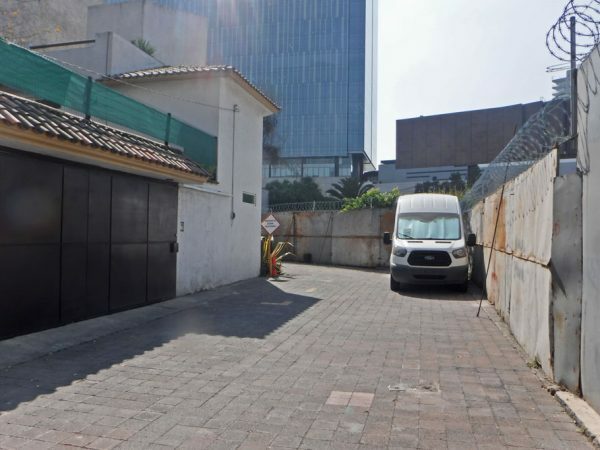 Ballena Blanca world for the two weeks we were in Mexico City. 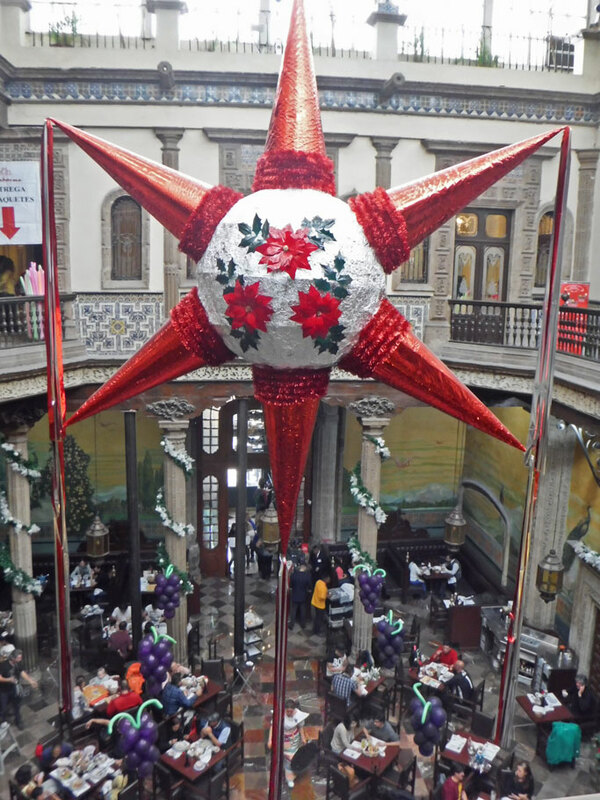 For the last couple of weeks, we have been blogging about all the fun things we did, all of the tasty food we ate, all the cool stuff we learned, and all the beautiful sights we saw in Mexico City during our two-week stay. Now if you are a fan of our Cost of Being a Nomad blog posts, I bet you’re wondering – “Yeah, cool, but what did this all cost?” I was wondering that same thing so I decided to create this special edition of The Cost of Being a Nomad. Click here for an actual spreadsheet with more details you can download. The van was parked the entire time we were in Mexico City. These totals included snacks, breakfast items, and beer. Nearly free fun. 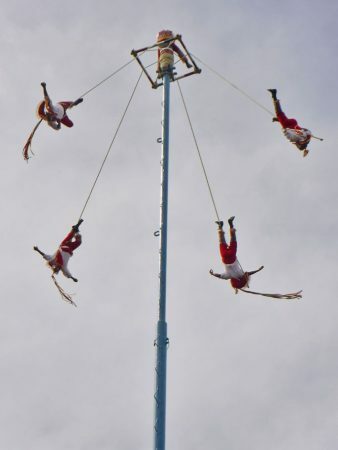 The Voladores work for tips. I usually drop 10 or 20 pesos (50¢ to a dollar) in the hat when it comes around. We ate out 10 times, drank out 4 times, visited 12 museums, and attended one big live entertainment event. Also included in Entertainment is bathroom expenses when we were out (Bathrooms often cost money in Mexico, sometimes it is just a tip to an attendant or sometimes you actually have to pay to get in. The cost is usually no more than 5 pesos, 25¢ US, and is often worth it to have a clean bathroom, toilet paper, and a seat on the toilet to do your business in.) and tips for street performers. Eating out in Mexico is sooo cheap. Our most expensive meal in CDMX was about $27 for the two of us. This included food, drinks, and leftovers for lunch the next day. We mostly ate breakfasts and at least one small meal a day in which kept the eating out expenses down. A fancy restaurant we didn’t eat in. This includes buying our grandson a gift, toilet paper for the Airbnb, and our laundry. 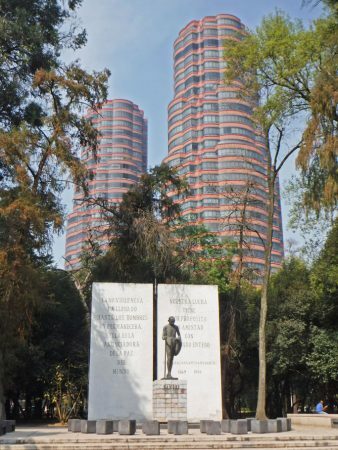 It also includes making copies of our Mexico City driving permit (more about that in the Mexico City Tips section below). We had lots of laundry by the time we got to Mexico City. I thought there would be a machine at the Airbnb and although there was, we didn’t have access to it. We ended up giving the apartment caretaker our laundry which she did for a tip. It was 5 loads so we tried to tip well. Gandhi statue and towers in the background. This is mostly for the subway which costs 5 pesos a ride (About 25¢ US). It also includes our bus trip to Teotihuacán (for more info on that see below). Yay! for no No Manches expenses! 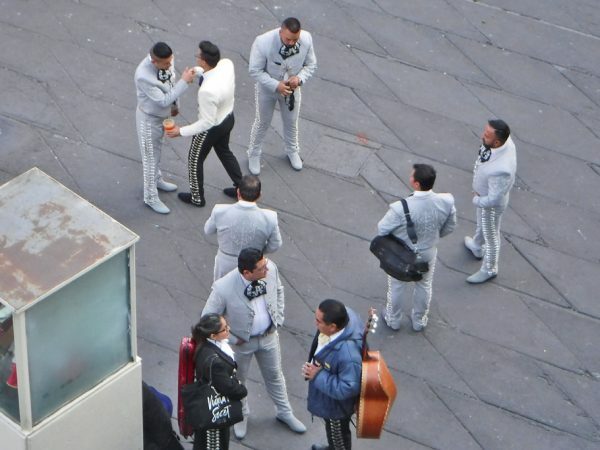 Free entertainment – spying on and taking pictures of Mariachis from the bar on top of the Tequila and Mezcal Museum. BTW – our tour of the museum came with a free shot of tequila and a shot mescal for each of us. Ok – so our spreadsheet total does not include the cost for the Airbnb (that was split with our friend Wayne and was paid in November). Our half was about $240 US. 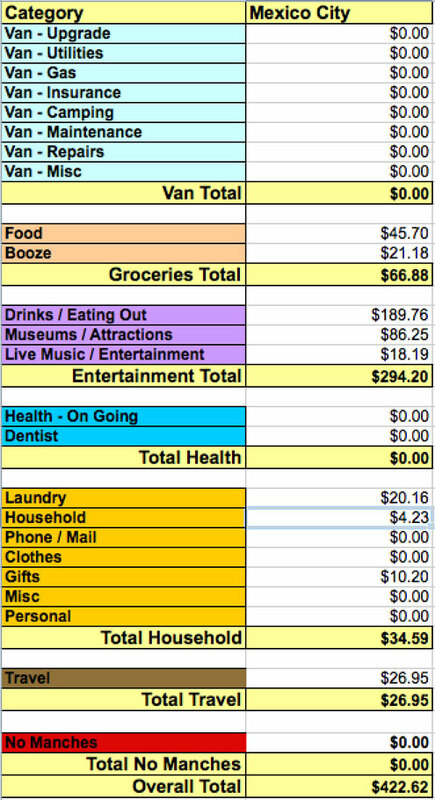 The spreadsheet also doesn’t account for some of the food and beer we brought with us that was consumed at the Airbnb – which probably comes to another $40. This brings our Mexico City total up to about $704. * Click pics to enlarge and view in a slideshow. What do you think? Did we do good or not? Although it didn’t cost anything we had to get a special permit to drive the van into Mexico City. 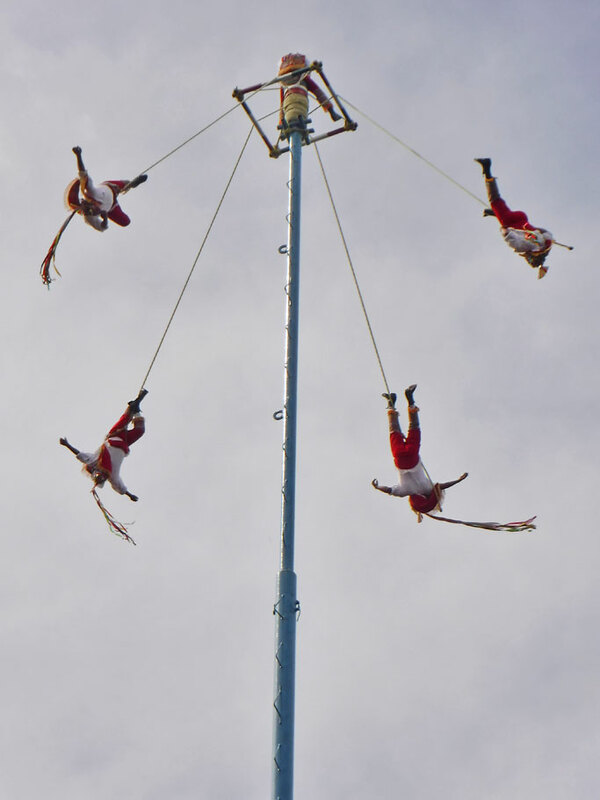 In order to keep smog down, the city has a system called Hoy No Circula that only allows cars to drive on certain days and at certain times depending on the last letter of your license plate. A Mexican vehicle can be exempt from the program and granted a special sticker if gets a good score on an emissions test. People with foreign vehicles, like us, can apply for a special tourist permit for one or two weeks. 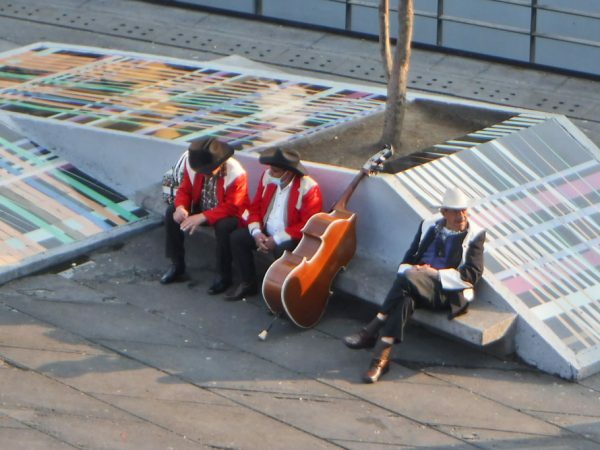 The Mexico City police are pretty serious about this – we know this because we got stopped. Luckily we had all of our papers and were sent on our way but as I understand, there is a pretty hefty fine if you aren’t compliant. The CDMX subway is super easy to get the hang of. Here is a little tutorial. Because there are so many lines we found having a Subway app to be invaluable. There are several out there. The one I liked most is called Metro – Metrobus Mexico and is available for Android (and I believe Apple) phones. It included all the bus lines as well as the subway line. On Sundays, a lot of the museums have free entry. We visited the Modern Art Museum on a Sunday. I expected it to be super crowded – and although there we lots of people there, it was a very pleasant experience. The Anthropology Museum is fantastic. There are two lines for tickets – a shorter one for credit cards (the line we chose) or a long one for cash. Both lines moved pretty well. It is a huge museum (we only saw half of the museum), so allow plenty of time. Unfortunately, most of the display info is in Spanish. But even if you can’t read Spanish, I think you can get quite a bit out of it (Wayne seemed to enjoy it). 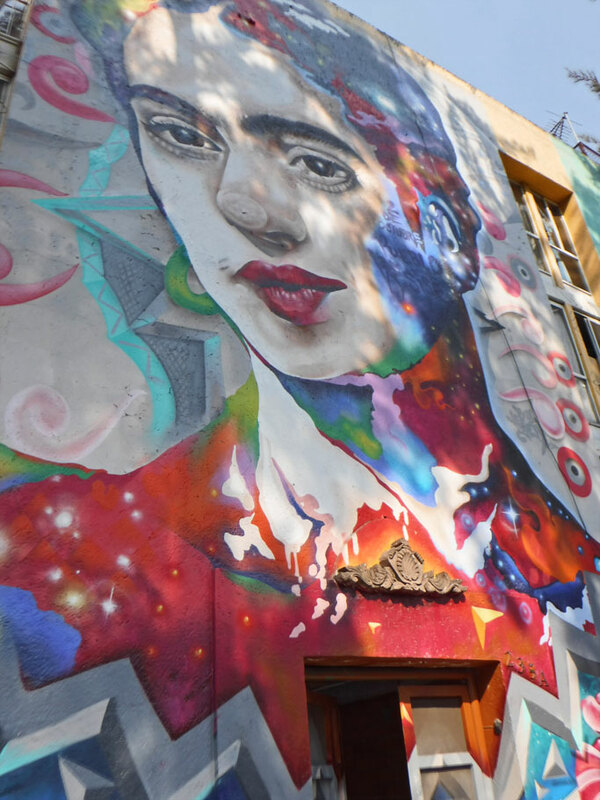 It is best to buy tickets to the Frida Kahlo Museum ahead of time online. Tickets are available for specific time slots. We bought tickets for an 11 o’clock entry (the first of the day) thinking it wouldn’t be as crowded then. When we showed up at 11, there was a long line in front of us. The line moved fast and they do a good job of controlling how many people they let in at a time so it isn’t crazy crowded. My tip here is – if you want even less of a crowd buy a ticket for the first entry time and then get there well before the door opens. Some museums charge extra for taking photos. I paid an extra 30 pesos (about $1.50 US) at the Frida museum for photos and it was totally worth it. Lucha Libre was fun. I think it would be quite enjoyable even for someone who isn’t that interested in wrestling. Here is a good article about attending. It is in Spanish but if you have the Chrome browser with the translator extension it does a fair job of turning it to English. You can buy tickets from Ticketmaster or you can buy them directly from the box office (taquilla). After getting confused by Ticketmaster we decided to just drop by the box office. Luckily the box office was open (they are only open when they have events). Buying tickets was easy. It turns out we probably could have waited until the night of the match to buy our tickets – despite like the article says about there being lots of scalpers outside of the arena, there were lots of empty seats inside. I am not sure if that is because it was a holiday show (Three Kings Day) or if the scalpers are just selling the best seats (We were about 11 rows back and there were lots of empty seats around us but probably the first 7 or 8 rows were completely packed). If you are coming to CDMX and want to go to Teotihuacán – here is a good article explaining how to get there with public transportation. Lots of museums are closed on Monday which makes Monday a good day for just roaming around taking it all in. But really there are a ton of museums in CDMX so if you are still in a museum mood Monday here is a list of sites that are open. Street food is super cheap and super tasty. A friend recently posted that going to the most popular food stalls means that the food is usually fresher. I love Walmart. I can’t believe I would ever hear myself say that but there was a Walmart right around the corner from our Airbnb and we visited it often for snacks and beer. I recently got admonished on Facebook for making a post about finding a grocery store that sold some of the American foods I had been missing and was told that I should only be eating Mexican food. Of course, we have been eating plenty of Mexican food but since I cook most of our meals finding the foods I know how to cook with can sometimes be a challenge. Walmart is all over Mexico and I love it because I know I am more like to find what I want there. When you travel and are exploring and learning new stuff almost every single day – having a constant that is familiar like a major grocery store is nice. Actually, there are many major American stores in Mexico City. We also visited Office Max to get make copies of our Mexico City driving permit. Wayne made many trips to 7-11. Of course, there is American fast food like McDonald’s, Burger King, and KFC. You can buy Dominos Pizza in the subway. And across the country, we have also seen Home Depots, Costcos, and Best Buys. Free art on the street – Frida mural on Calle Mosqueta. This entry was posted in Cost of Nomading, Mexico, Mexico City, Nomading, Travel On The Dirt and tagged Cost of Nomading, Cost of Van LIfe, Expenses, Mexico City, Traveling in Mexico, Van Life Expenses. Bookmark the permalink. You didn’t do too bad, especially since this two-week visit was more like a vacation than the traditional van lifestyle. Good to know that some museums are free on Sundays. You gotta love Walmart when in Mexico, just for the reasons you mention. People can be critical. To an extent I agree that when you travel you should immerse yourself into the culture and local foods as much as possible. Why else would you travel and leave the US? But… what you guys are doing (and what we did on our boat for eight years) is travel extentsively – almost like living abroad – and eating favorite foods and using familiar ingredients after weeks of local stuff is nice and rewarding. Very different than going on a vacation abroad for a couple of weeks. We have been on a week vacation before where we spent a couple thousand dollars – so I’m pretty pleased considering all the things we did. We eat local food here in Mexico so much more than we ever did when we are sailing. Eating out is just so cheap here. But not only are we traveling and exploring we are living our every day life – and, of course, trying to do it with little income. It is hard being a vegetarian and eating out sometimes – but we just had a great experience the other day. We told the waiter we were vegetarianos and he had this awesome plate of Mexican foods made for us – all vegetarian. It was beautiful too! I took pictures! Mexico City is a city with world class events, festivals, shopping, food and wine, and a fabulous arts scene.